Expertly preen brows with the Glamour Tweezer Duo from Japonesque. Crafted from high quality stainless steel for lasting performance, the travel-sized set allows you to shape brows to perfection. 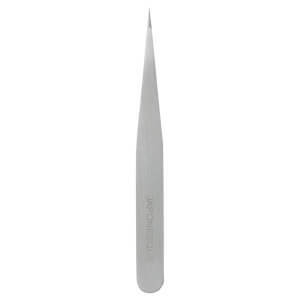 Combining balance, alignment and a luxurious black glitter finish, the slanted and pointed tweezers extract even the smallest, finest hairs for a professional finish. Housed in a protective case for precision touch-ups at home and on-the-go.